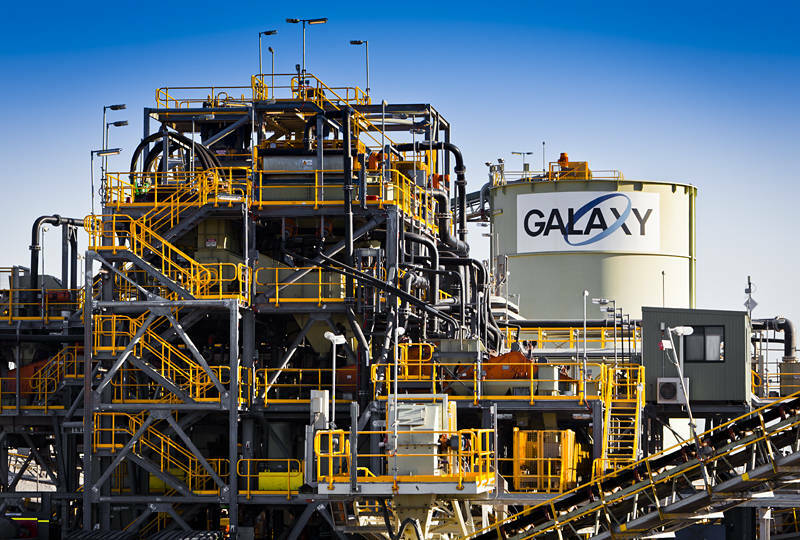 This is part of the first stage processing for the Galaxy Lithium mine in Ravensthorpe. Chris, Robert and Jugal were kind enough to give us a guided tour on Thursday. This rig uses a variety of mechanical processes to separate the spodumene concentrate which contains the Lithium you find in your mobile phone battery. Like most mining in Australia this product is bound for China. Galaxy also owns the processing plant there. I thought this was quite clever of them as I believe most mines sell raw ore to China without adding any value. After removing the Galaxy logo for copyright reasons this image was accepted for Stock Photography at Shutterstock and is available for download here. I also blended the image with a slightly less high contrast Photoshopped RAW development to adhere to strict stock image quality standards.